Do you need insurance to sell a car? Do you need proof of insurance to sell a car? When you choose to sell your car privately there’s the potential to get more money than you would if you traded it in at the dealership. Unfortunately, the task of selling vehicles privately can be a stressful one. Not only do you have to decide where you’re going to advertise it and how you’ll generate attention from serious buyers, you also have to spend your free time explaining your history with the car and trying to sift out the nosey car enthusiasts with nothing better to do. After you’ve generated a list of a few serious buyers, you’ll need to go through the sometimes scary test drive phase and then negotiate a sales price that everyone feels good about. It can be a chore that’s worth doing on your own as long as you understand issues that can arise. One common issue you must be prepared to deal with centers around auto insurance. While you don’t legally need proof of car insurance to sell your car, having valid coverage is almost always recommended. This is especially true when the car that’s up for sale is registered in a state with mandatory auto insurance laws. Here’s your guide to insuring a vehicle for sale so that you know exactly what you should do and what you shouldn’t. What happens if you don’t have coverage on a registered car? Contrary to what some may believe, auto insurance laws aren’t set at a federal level. The National Association of Insurance Commissioners may oversee rules and legislation at a national level, but state legislatures are responsible for setting and enforcing state auto insurance laws. A majority of states have some form of mandatory insurance or financial responsibility law that mandates that vehicle owners must carry insurance or provide proof of financial responsibility that shows that they can cover a claim on their own. 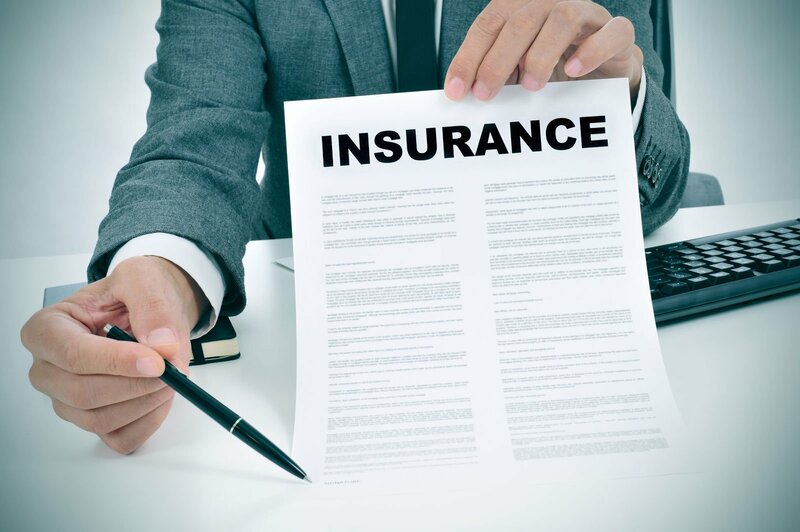 If you live in a state with mandatory insurance laws, you have no other option but to carry insurance continuously as long as you’re the registered owner. If and when the ownership is transferred to another party or the registration is canceled it’s okay to allow your coverage to lapse because you no longer have an insurable interest or obligation. Allowing your policy to lapse before ownership transfers could create serious problems that you don’t expect to have to deal with until you sell your car or you try to register a new car in your name. If you know the consequences of breaking the law before you accidentally break it, you can avoid a long list of fines and penalties and sell your car like you wanted. Since most states now use electronic verification systems, officials find out that you’ve had a lapse in coverage almost immediately after the policy cancels either for non-payment or by request. In most cases, you’re asked to send proof of your coverage. If you ignore this request for proof of coverage, the Department of Transportation will take further steps to suspend your plates until you respond. If your plates are suspended, you’re at risk of getting pulled over in the midst of a test drive for your registration. Not only does this look bad to the buyer, it could result in a citation and vehicle impounding where you’ll be on the line for more fines and storage fees. If you don’t find out that the plates have been suspended until after the vehicle was sold, the buyer will have to deal with the fines and fees you’ve accrued. This is because registration fines follow the vehicle and not the driver. Now that you know how important insurance is when you’re selling a car, you could be worried about canceling your coverage too early. The best way to avoid suffering the consequences of terminating your coverage is to wait until after a deal is negotiated and all of the paperwork is finalized. You can’t just have a verbal agreement and then pick up the phone to call your agent. Instead, you should have an official bill of sale drafted with spaces for all of the information that you need to release your liability. After both the buyer and seller have signed the form and you’ve handed over the keys, you can officially go to the DMV or process a request to release liability online. When you submit your notice to release liability, it gives the DMV a heads up that the buyer should be transferring the plates soon and that you shouldn’t be on the line until then. It’s okay to cancel your coverage after the release is sent, even if the buyer hasn’t transferred ownership on their own. If you’re currently listing your vehicle for sale and you don’t have insurance, you should be a wise seller and get even a minimum amount of coverage as soon as possible. In doing this, you’ll feel comfortable when you go for test drives and you won’t have to feel like you’re hiding something. It’s also smart to ask if the buyer is insured so that they have coverage when they drive off. To get quotes quickly, use an online rating tool and see how much premiums cost. Start comparing car insurance rates now by entering your zip code in our FREE tool below!